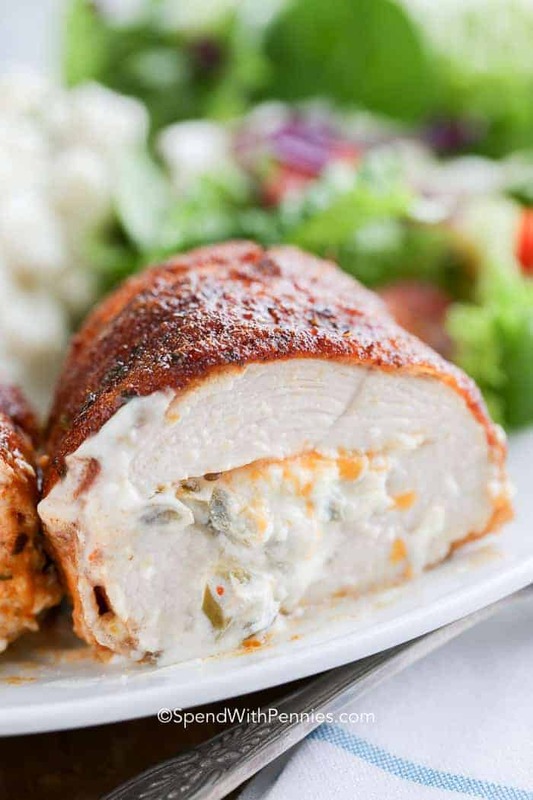 Bacon Wrapped Chicken is the perfect combination of cream cheese, jalapeno peppers, chicken and bacon all in one! This recipe combines simple and delicious ingredients into a dish that comes together easily and leaves your family begging for seconds! 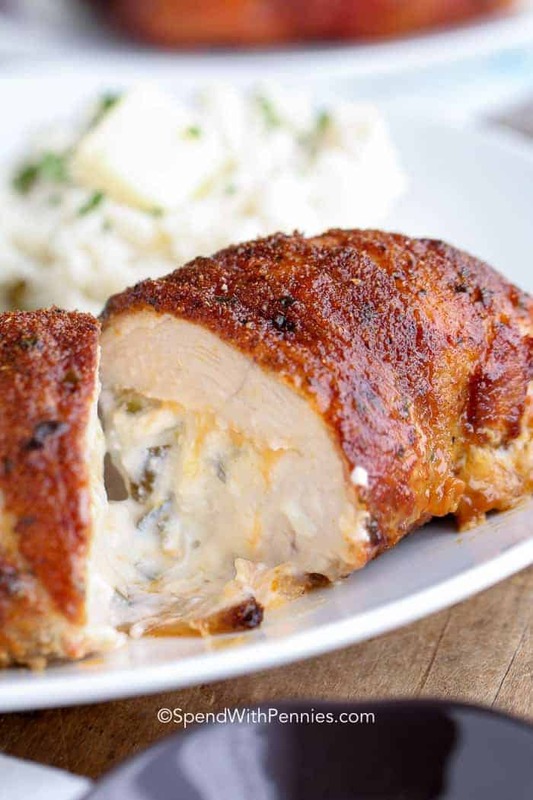 Bacon Wrapped Chicken is a perfect combination of creamy cheesy goodness with a kick of heat- all wrapped up in juicy chicken breast and bacon; but also it creates very few dirty dishes to make clean up a breeze! (And any dish that doesn’t require a ton of dishes is perfect in my books)! 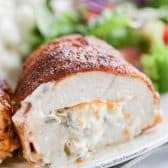 This Cheesy Bacon Wrapped Chicken recipe goes great with a side like Grilled Bacon Wrapped Corn or even just a Classic Coleslaw. 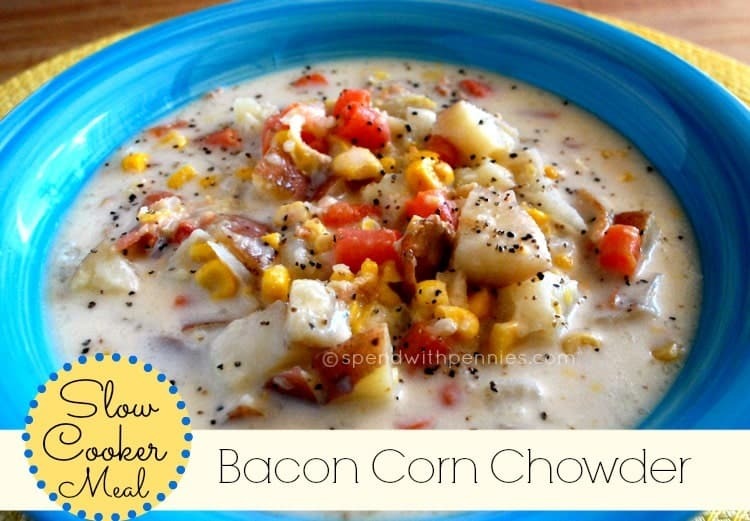 It makes for a fantastic weeknight dinner or a perfect potluck dish. 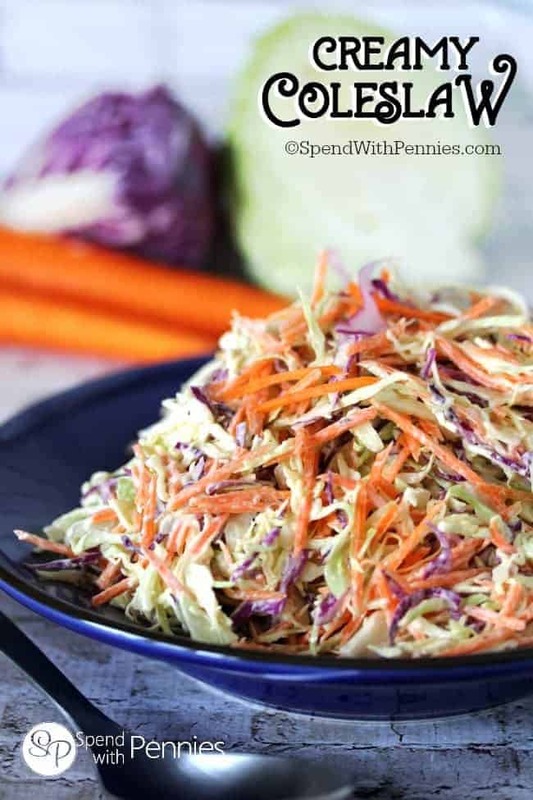 I actually always try to make extra so I have some leftover for lunch the next day because it reheats beautifully and as crazy as it sounds, I love to slice the leftovers and serve them cold! This bacon wrapped chicken recipe is super simple to make! Butterfly chicken breasts and fill with cheeses. 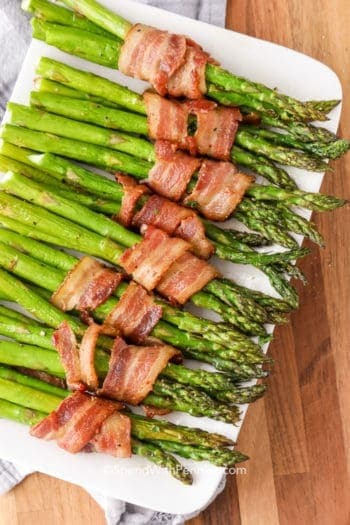 Wrap in bacon (of course)! Season with your fave seasonings. Bacon wrapped chicken is easy to make and doesn’t take all that long to cook. 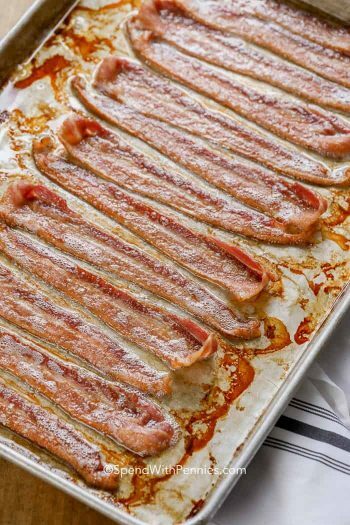 I personally like to cook it at a higher temp to make sure the bacon gets nice and crisp while the inside stays juicy and delicious. I cook this recipe at 375°F for about 35 min. 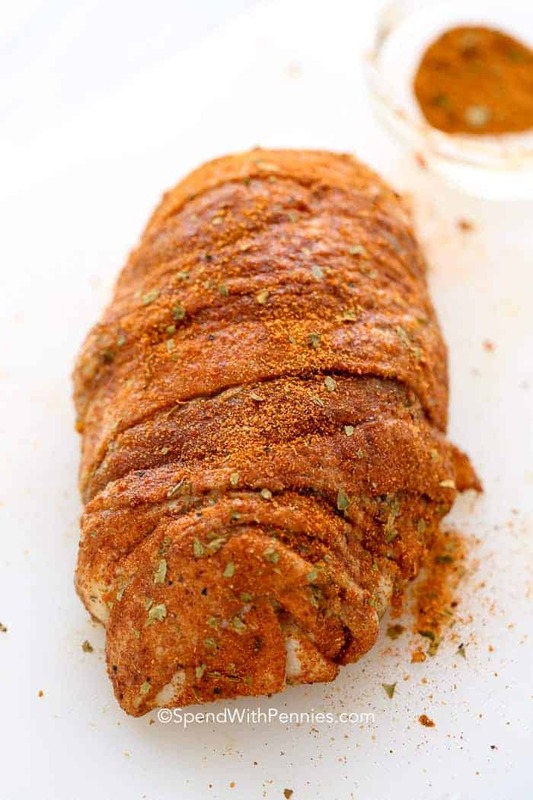 Any sort of southwest seasoning (or even a tex mex style seasoning) will work perfectly in this recipe, so just use what you have on hand. If you prefer less heat, you can substitute the jalapenos with sliced green onions. 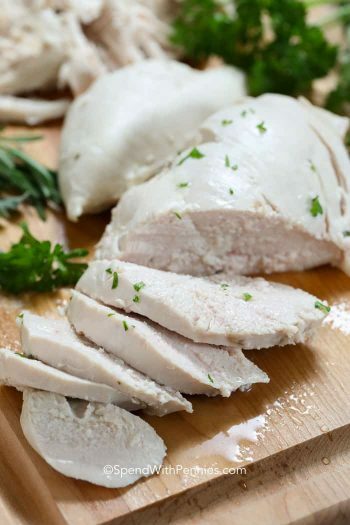 Note: This recipe makes 2 chicken breasts but can easily be doubled/tripled. 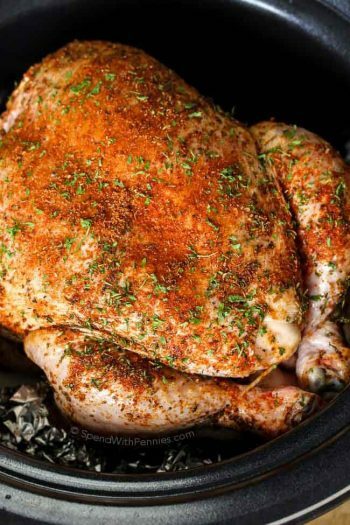 Oven Baked Chicken Breasts – Perfect every time! 4 Ingredient Chicken Rice Casserole – Easy! Spinach Artichoke Chicken Casserole – Favorite! 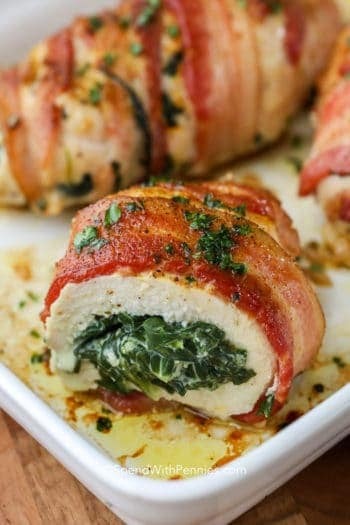 Cheesy Bacon Wrapped Chicken is the perfect combination of cream cheese, jalapeno peppers, chicken and bacon all in one! Preheat oven to 375 degrees. Line a pan with foil. In a small bowl, combine cream cheese, garlic, jalapenos and salt & pepper. Butterfly chicken breast (so you can open it like a book). 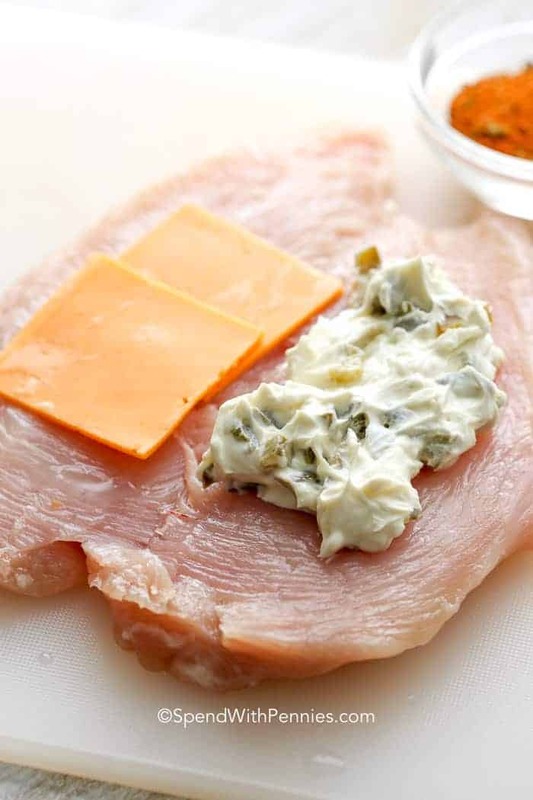 Add 1/2 of the cream cheese mixture and 1/2 of the cheddar cheese to each chicken breast. 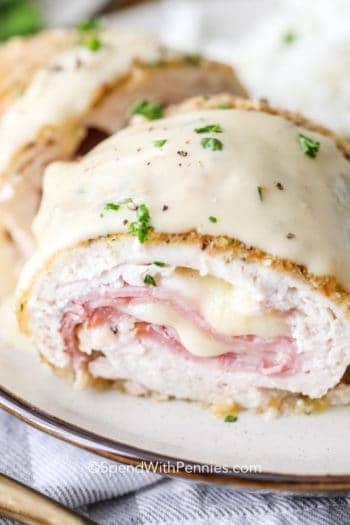 Close the chicken breast wrapping around the cheese. Wrap two slices of bacon around each chicken breast to seal it closed making sure the ends of the bacon are tucked under the chicken to hold it in place. Rub southwest seasoning over the bacon. Bake on prepared pan for 35-40 minutes or until cooked through.